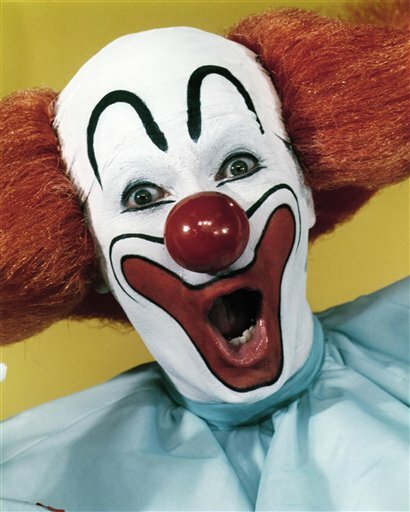 Plaintiff’s seize Louisiana Citizen’s Bank Accounts: Jimbo the Clown continues in his role. Insurance Commissioner Jim Donelon vowed to continue the fight, while plaintiffs’ attorneys said it’s time for Citizens to pay policyholders. “We will proceed immediately to complete the seizure and collect the judgment, and we will also move quickly to set the pending claims for hearing before the trial court,” attorney Fred Herman, who represents the policyholders, said in a news release……. “Our lawyers are urging us to continue the appeal to the U.S. Supreme Court, and we have another state court initiative in mind, as well,” Donelon said. I’ll again point out this is standard jackassery for Donlon, who is facing the specter that the state’ insurer of last resort is insolvent, which condition Donelon evidently has no contingency plan to rectify. With reserves depleted, the best Donelon can hope for is a quiet hurricane season such as the one forecast for 2012. That said the last time we had such a quiet hurricane season Hurricane Andrew hit the Louisiana coast so even that may not be enough. We’ll be keeping an eye on this story. Jimbo “THE CLOWN” Donelon continues to take the Louisiana Insurance office to new depths of despair. Sadly, the insurance consumers of this state are blind to what this man has single handedly done to keep insurance rates in this state some of the highest in the nation. Mildre: The State through Donkey-DoDo- Donelon, no relative of Dudley Do-Right, gave away $100 MILLION in incentives to get more insurance companies to write in the State supposedly to create competition. Well it did attract more companies but they have written policies with outrageous premiums and still got the Seal of Donkey-DoDo approval. Talk about getting the sh*t kicked out of you by a real double talkin’ Jackass. Previous Previous post: Is Shelburne Nova Scotia mayor Alan Delaney a racist? IMHO the Slabbed Nation is uniquely equipped to answer this question.